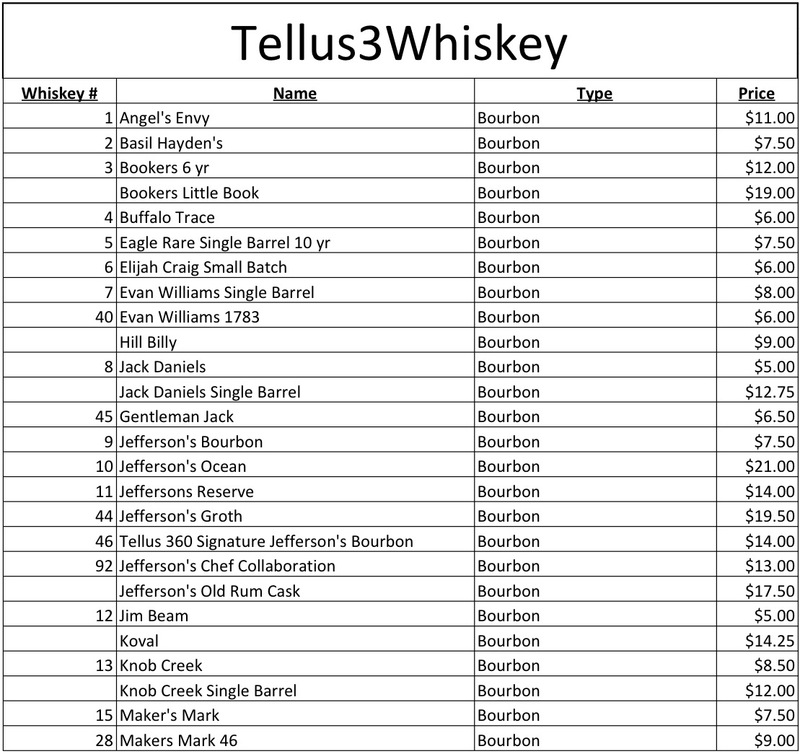 Welcome to Tellus3Whiskey, your passport to an amazing world of whiskey, Scotch, and bourbon. Literally. 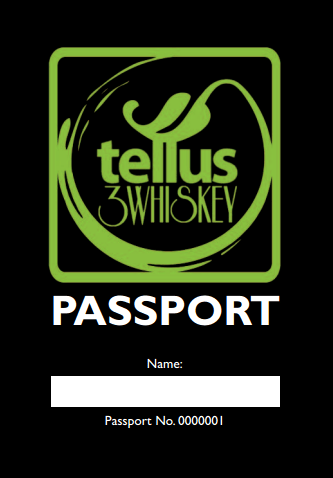 At the heart of Tellus3Whiskey is your own personal passport which you can purchase from us for $50. 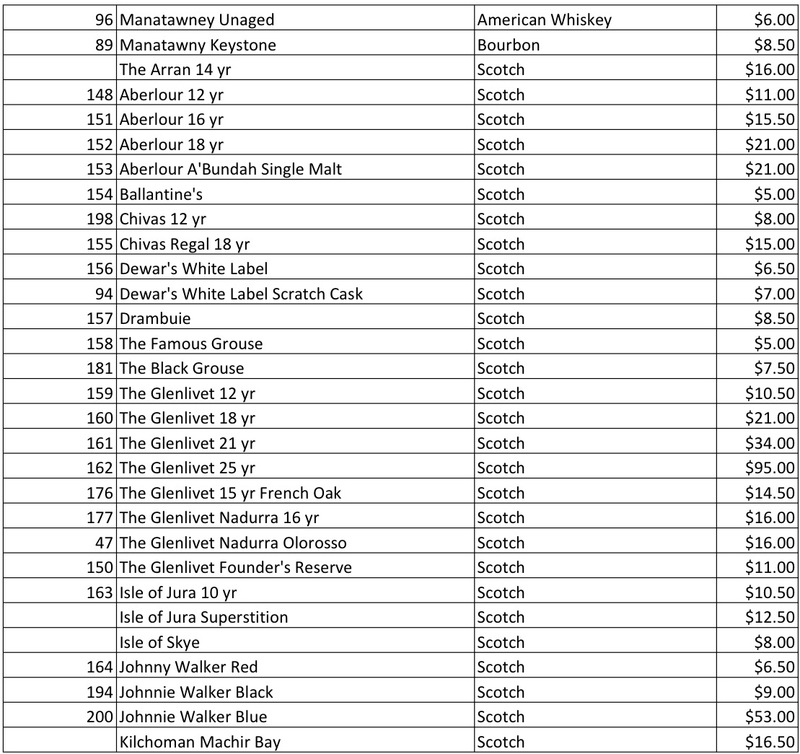 That cost will also get you glasses of five carefully chosen whiskeys that represent the breadth and depth of the collection. By holding this passport, you are set for an adventure like no other. 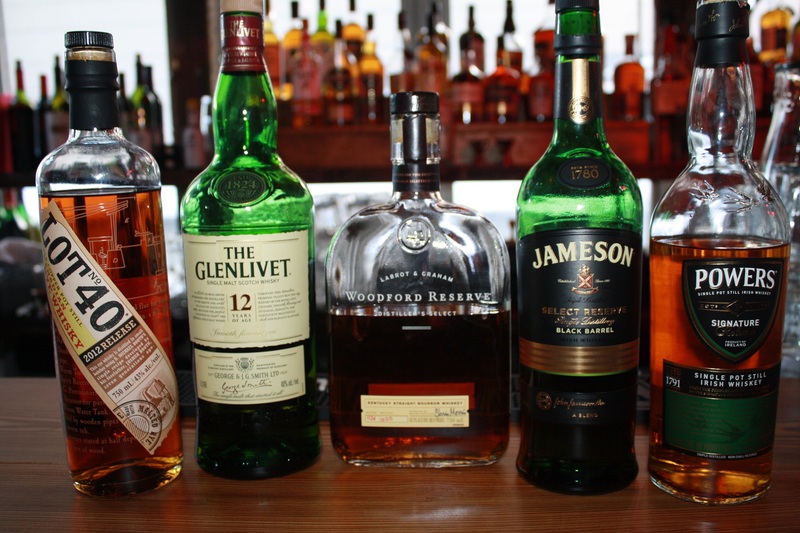 Our goal is to put together the finest collection of whiskey, bourbon, and Scotch in the area; a collection that will continue to grow so that you’ll always find something new to try. 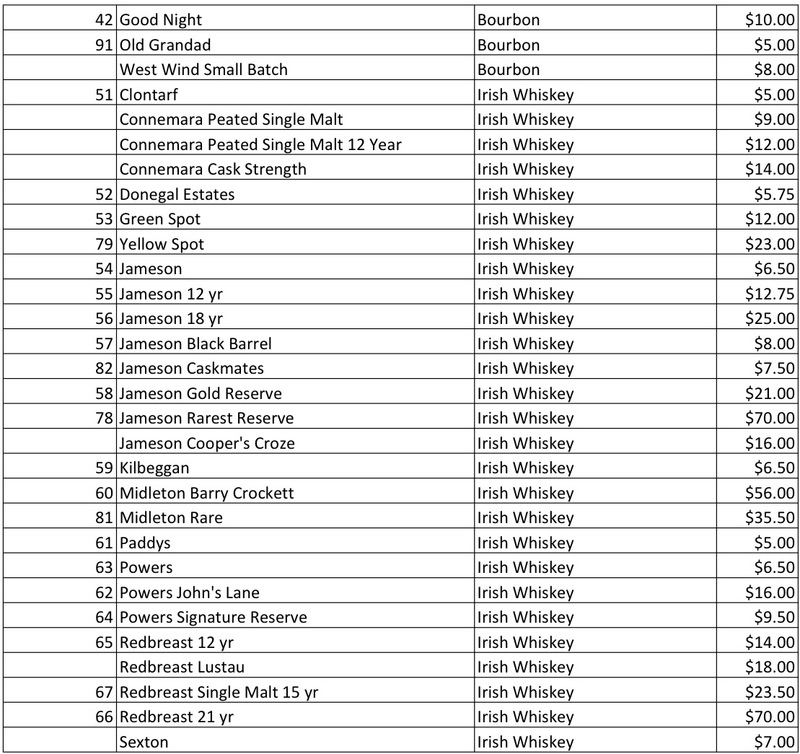 You’ll be able to taste some of the more popular brands as well as some rather rare finds. This collection is housed in Tiġ Ċaleb (Caleb’s House) on our second floor, named in honor of our friend Caleb Walker, the founder of A Week Away. Each time you try another drink, we’ll stamp your passport, and you’ll be on your way on a trip through some of the best whiskey in the world. As we search the world for the finest samples, we’ll be taking you with us. 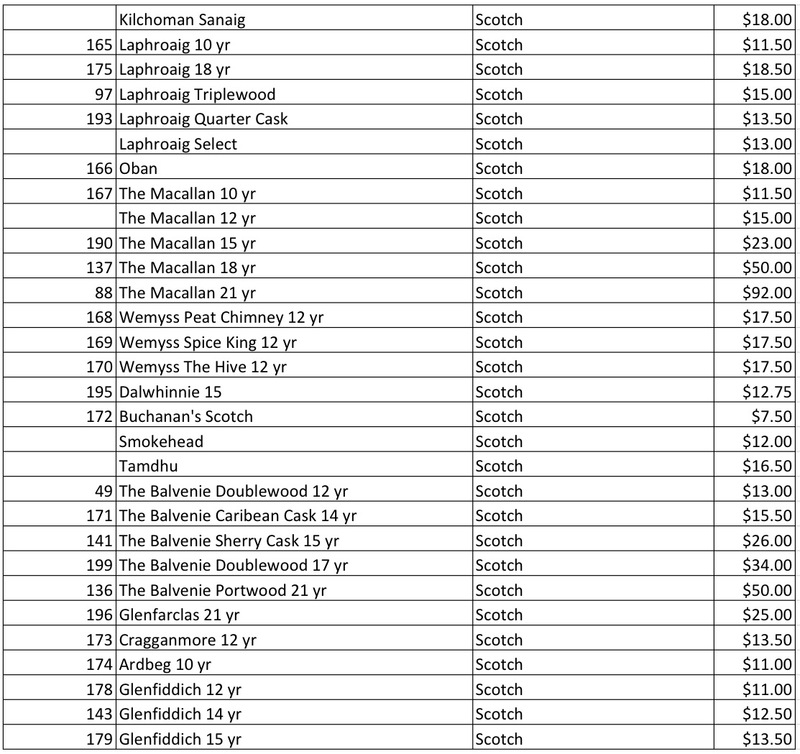 Tigh Caleb boasts over 250 whiskeys which, while impressive, can seem intimidating to the everyday drinker. To better introduce our patrons to the extensive collection, we are starting a whiskey of the week. 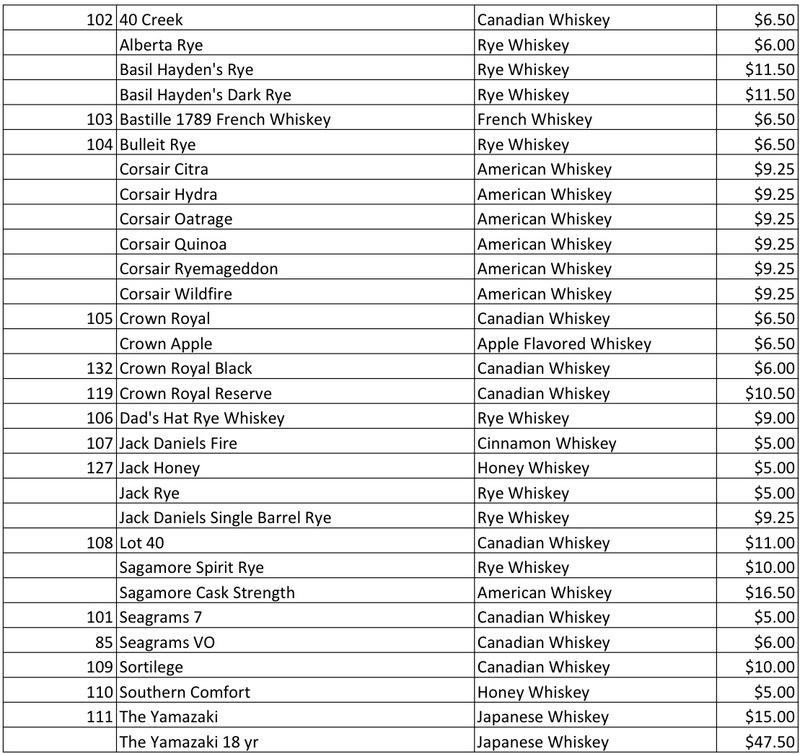 Each week we will select a whiskey for you to enjoy at a discount so that you can expand your whiskey knowledge without breaking the bank. Every Monday check our social media for the upcoming Whiskey of the Week and join us for one. While even the most experienced whiskey drinkers will appreciate our collection, beginners will find Tellus3Whiskey helpful as they learn about all the world of whiskey has to offer. You’re now part of a club, a community, of fellow whiskey drinkers. 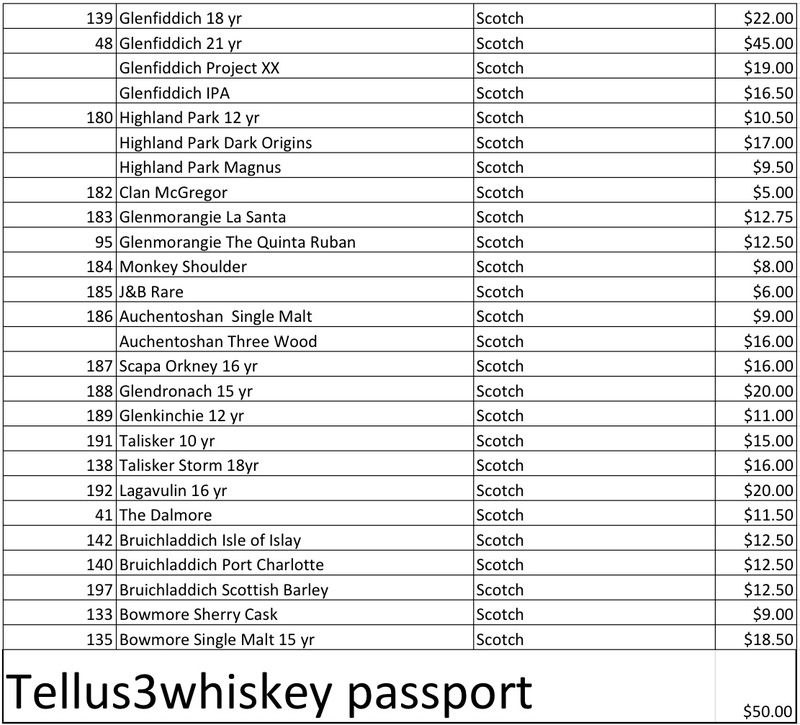 Whiskey passport is a way to travel the world of Whiskey. From Ireland to Japan and every where in between. 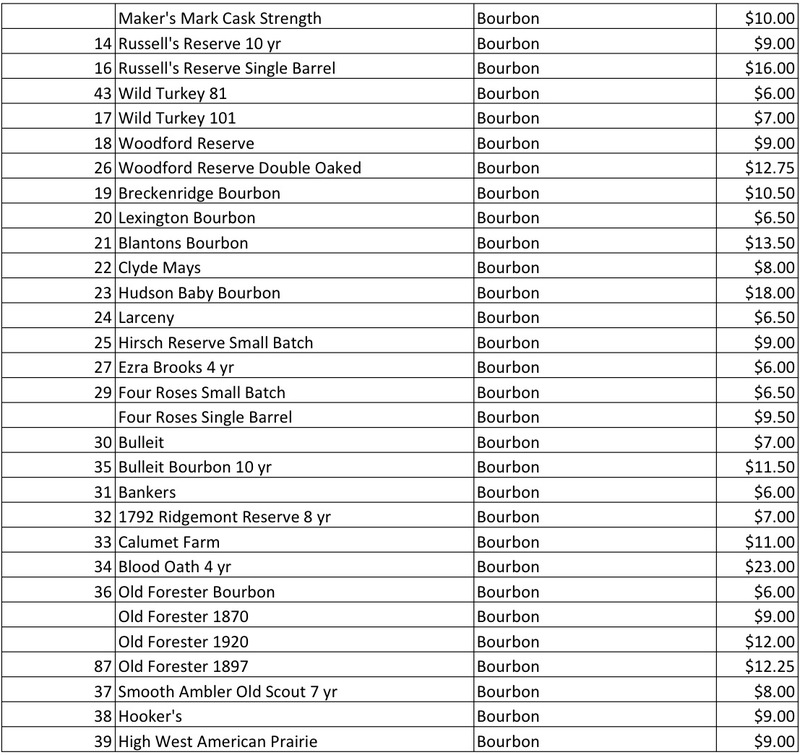 we can keep a record of all the Whiskey’s that you drink. 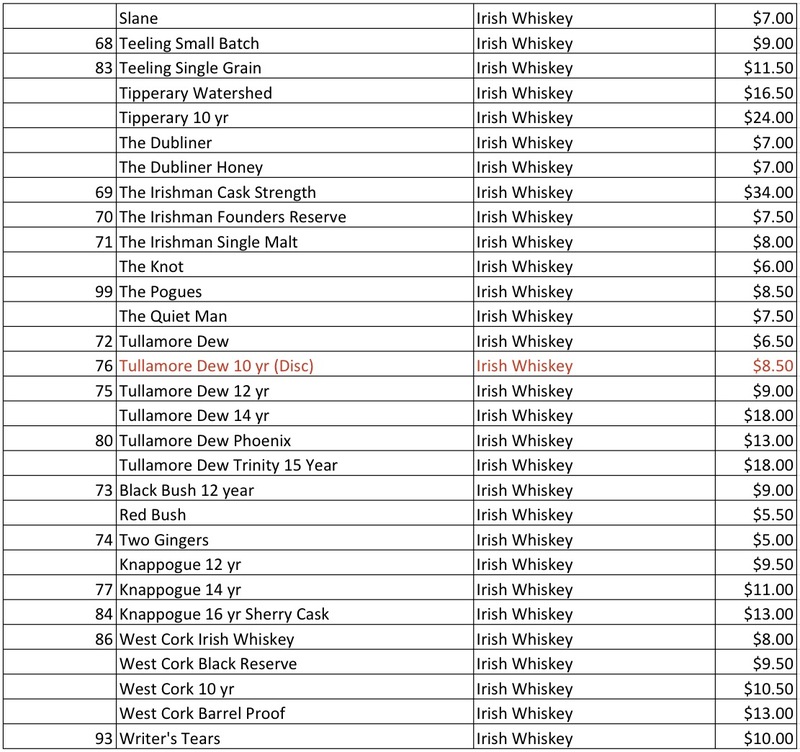 Every whiskey with a number next to it as a corresponding space in your passport. 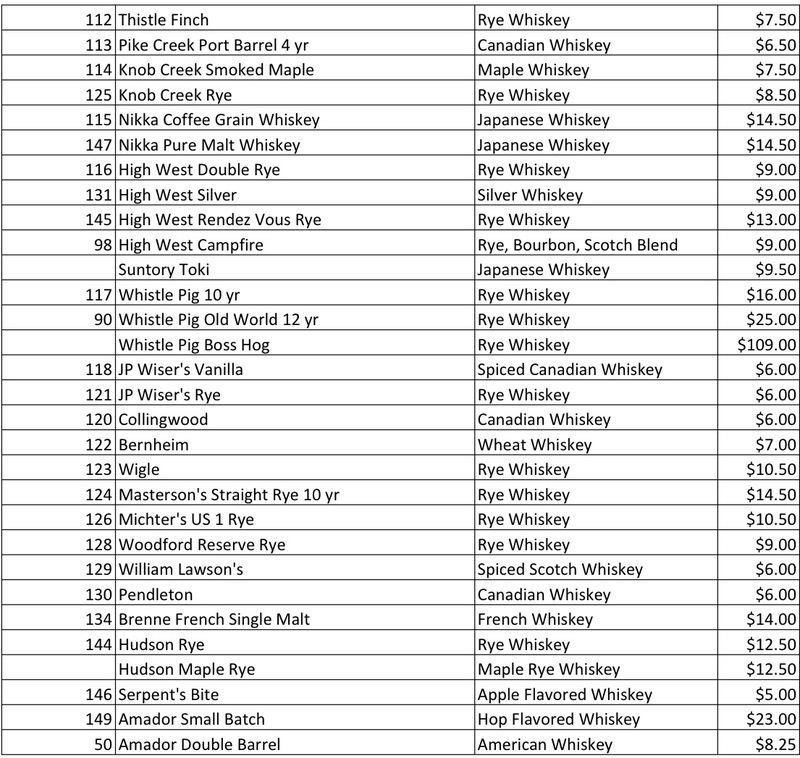 There are 200 spaces in your passport that represent the first 200 whiskeys we had on the shelves. When you drink a numbered whiskey we stamp your passport. You can record your thoughts on it, what was good, what was great and what was greatest. These can be enjoyed at any time you choose. Grab your passport and hop on board for the journey!